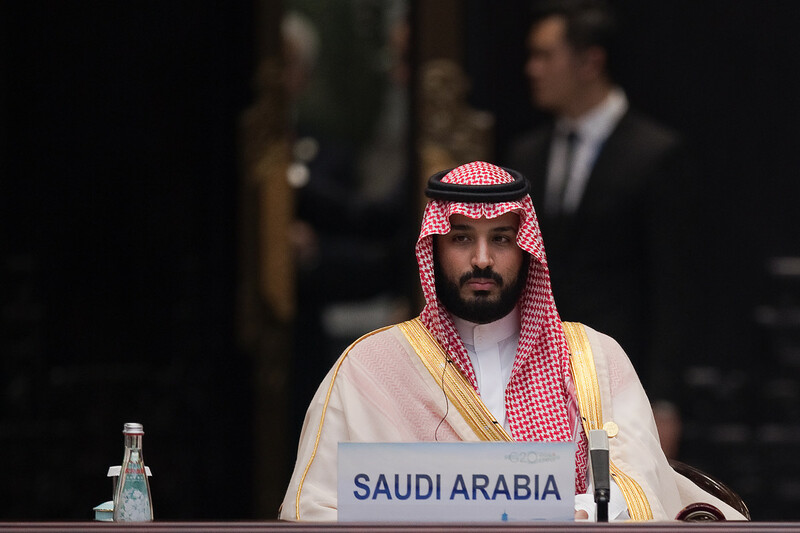 Heir to the throne, Prince Mohammad bin Salman, risks further destabilizing the Middle East through his bellicose rhetoric, political crackdowns, and military escalation. Saudi Arabia Crown Prince Mohammed bin Salman attends the G20 opening ceremony at the Hangzhou International Expo Center. If you&apos;d planned on unwinding with a signature diamond magnetic facial at the Ritz-Carlton in Riyadh, the capital of Saudi Arabia, in the coming weeks, a call to your travel agent is in order. The spa is closed. The entire hotel, in fact, is on lock-down after the arrest of several prominent Saudi businessmen and politicians on anti-corruption charges earlier this month, at the behest of heir apparent to Saudi Arabia&apos;s throne, Mohammad bin Salman, or MBS. At just 32 years old, the prince’s political offensives, which supporters call courageous and detractors decry as imperious, have already marked an important pivot on the international stage. The people arrested are believed to be held in the Ritz-Carlton, following the unexplained shuttering of the hotel to the public. Among the luxurious hotel&apos;s most prominent guests is investor and philanthropist Prince Alwaleed bin Talal, one of the world&apos;s richest men and a well-known Wall Street fixture, worth, according to Forbes, some $16 billion. According to the Saudi attorney general, the probe has turned up evidence that at least $100 billion in Saudi public funds had been channeled to the private coffers of the arrested elites. But the sweep represents a power play much bigger than frozen assets and demoted billionaires. 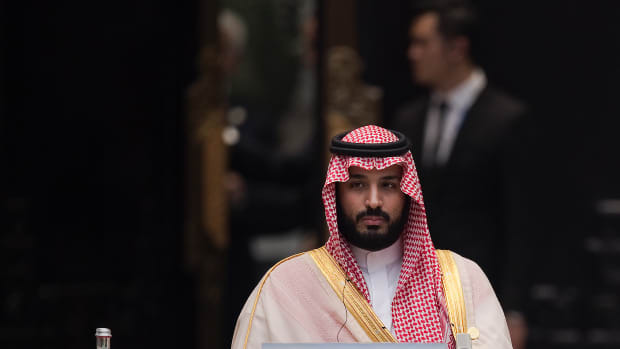 Emboldened by the United States&apos; support and its hard stance on Iran, MBS has launched a litany of strong-handed maneuvers in recent weeks—and, more than that, he appears to be pulling up the curtains on a turbulent new chapter in the region. 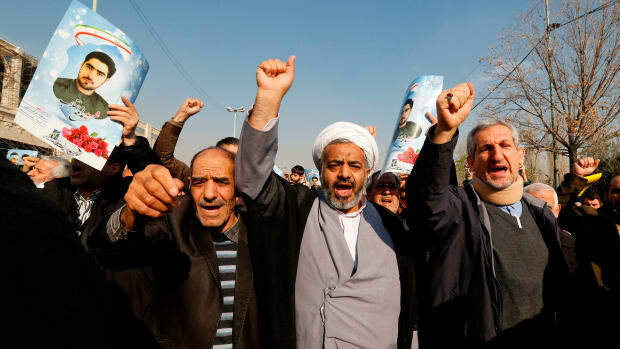 While the fate of bin Talal&apos;s billions, which include shares in Twitter and Citigroup, have been the focus of public speculation in recent days, it&apos;s the bellicose remarks aimed at Iran&apos;s capital of Tehran that should have people talking—and worrying. Apart from cleaning house in the kingdom, MBS and the Saudi diplomatic corps have ramped up anti-Iran rhetoric over the past few days, harmonizing with similarly pitched remarks coming from Israel. 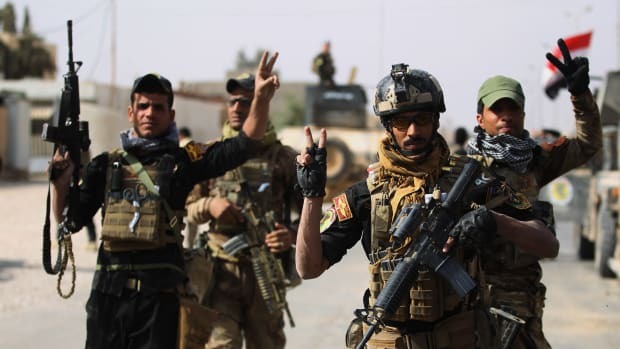 Indeed, many observers are watching to see whether long-simmering tensions between Sunni Muslim Saudi Arabia and Shi&apos;ite Iran will boil over, scalding the region. So: Lebanese politicians, Yemeni missiles, and posh hotels—they matter beyond the region too. 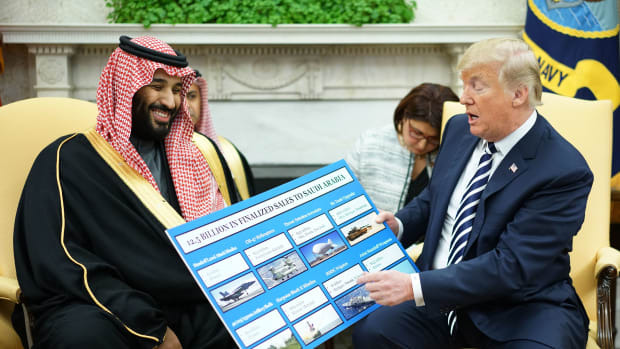 Aside from the human toll that increased political volatility would take on a region already rattled by multiple theaters of conflict, the U.S., arguably Saudi Arabia&apos;s most indispensable ally, has thrown its support behind MBS, and is potentially barreling into another imbroglio. Two days after the Ritz roundup, President Donald Trump put to rest doubt about Washington&apos;s support for the young prince&apos;s political project. 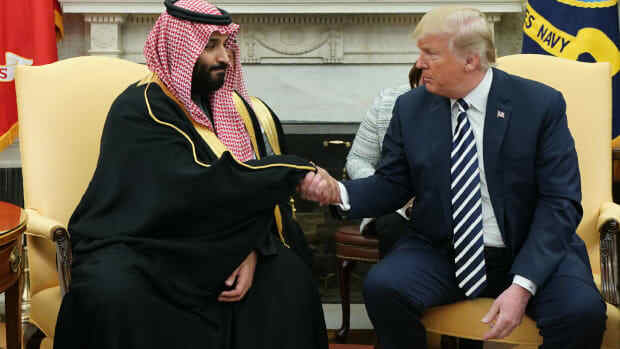 "I have great confidence in King Salman and the Crown Prince of Saudi Arabia, they know exactly what they are doing," Trump tweeted. The tweet came only a few days after Jared Kushner, Trump&apos;s son-in-law and senior adviser, returned from an unannounced trip to Riyadh, where he is said to have stayed up until the early hours of the morning discussing strategies with MBS. The U.S., for its part, must tread carefully. While many Saudis, particularly young Saudis, seem to back MBS&apos;s crackdown (and this is to say nothing of their support for his bold vision of social change), unscrupulous or unconditional support from Washington—or, more specifically, from tweets—could encourage Saudi mission creep, both domestically and internationally. In June, for instance, Saudi Arabia led a diplomatic boycott of Qatar, a move that threatens to nudge the country even closer to autocratic regimes in Iran and Turkey. Political poise is more important considering that the U.S. has already helped to set the stage for turmoil: Last spring, it closed an arms deal with Saudi Arabia worth $100 billion, three times the gross domestic product of Yemen, where Saudi warplanes have been dropping bombs since 2015. This isn&apos;t to say that Saudi Arabia&apos;s attempt to clamp down on rampant corruption shouldn&apos;t be applauded. However, the tenuous state of the region calls for caution on all sides. Anything less risks stability in the long term—and doesn&apos;t do favors for either America or Saudi Arabia. Saudi Arabia's execution of Shiite cleric Nimr al-Nimr demonstrates that Riyadh is able to act with growing impunity in the Middle East. 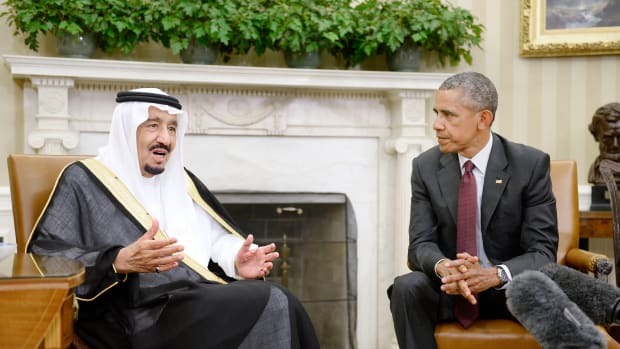 It also signals a potentially dangerous shift in American-Saudi relations. Why Is President Trump Attempting to Build Saudi Arabia's Nuclear Energy Program? A global energy policy expert explains why one of the most oil-rich countries in the world is investing in nuclear and why Congress is concerned. The proposal gained traction in the early days of the administration because two top Trump advisers, who had potential financial stakes in the plan, pushed it to the president. What Will 2018 Hold for the Middle East? An expert on the region makes five predictions about what's in store for the area in the next year. Breaking down the reasons why the country's recent uprising will have longer lasting effects than the demonstrations of 2009.